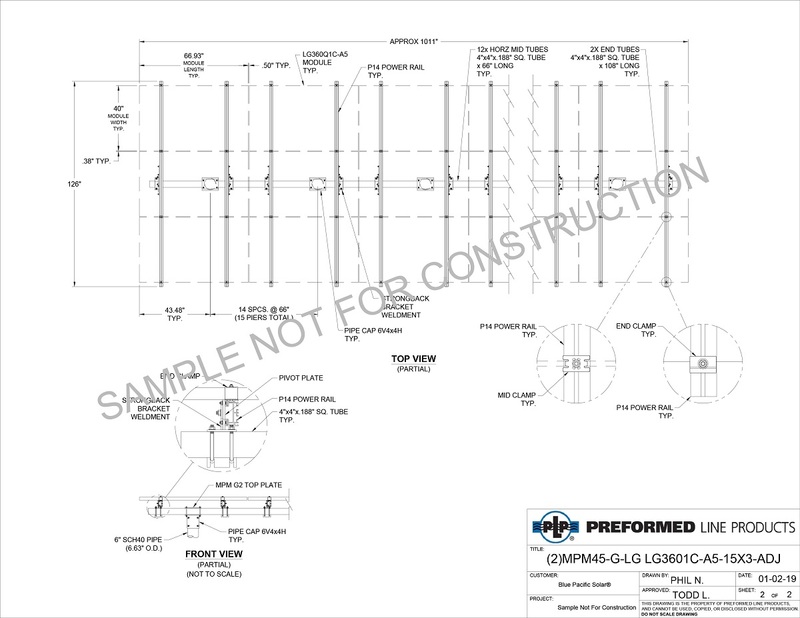 ● Click the Tab Above ⇑ Multi-Pole Mounts Shop Drawing Sample, Videos & Documents to Learn More. Pricing is Based on Configuration & Assumption: Array Layout and Module Orientation = Landscape, Nunber of Panels 4H x XXW (Wide). All pipe recommendations conform to ASCE 7-10, IBC2006, and are based on 110 mph, Exposure C, 55-degree max tilt, 36" max front edge ground clearance. Other design criteria is available but will need to be custom quoted. 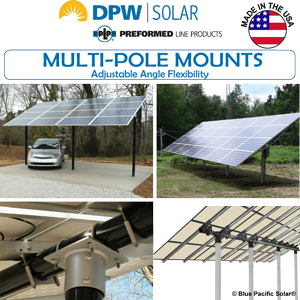 Preformed DPW Solar Multi-Pole Mounts are a drop shipment item direct from the manufacturer. Ships in about 20 business days (Subject to Seasonal Increases) after funds clear and the shop drawing is approved by the customer. 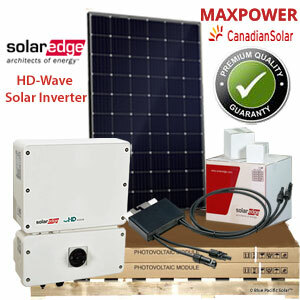 Note: If our panels are not included in your rack order, specify at checkout in the comment box the panel manufacture & model # of the solar panels you intend to use with racking. Racks are module-speciﬁc and not universal, which helps to reduce the number of parts. This simpliﬁes assembly and minimizes assembly errors. 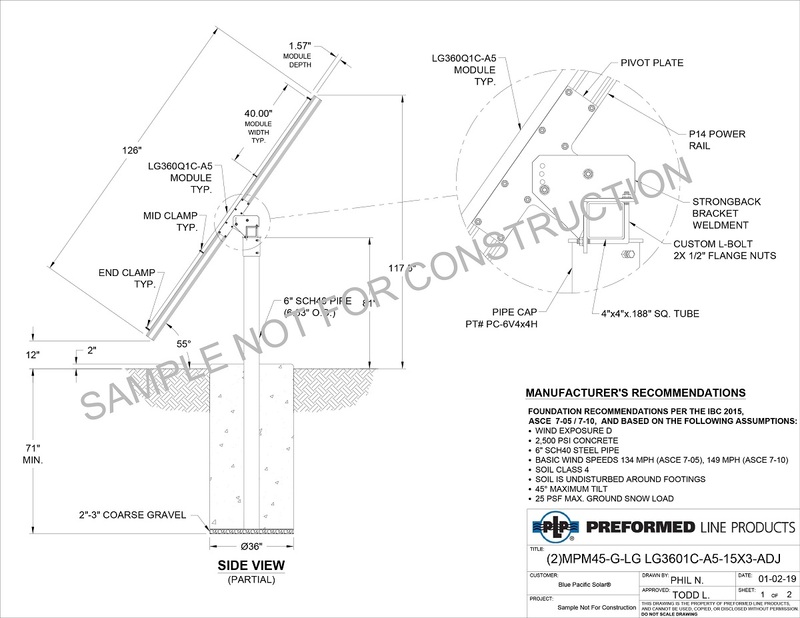 If your AHJ (Authority having jurisdiction, (Usually Local Building Department)) requires a custom site specific structural analysis from a Professional State Registered Engineer (PE Wet Stamp on the Drawings) we will be happy to provide a non-site visit PE wet stamp for an additional fee. 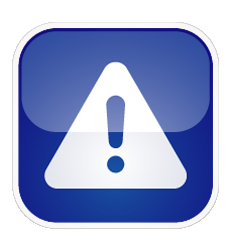 Additional site specific engineering calculation sheet and wet stamp services are NOT included with the basic kit purchase. 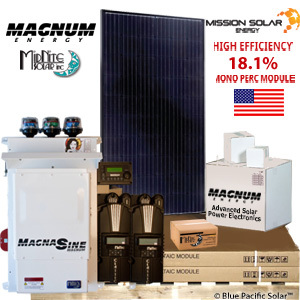 Blue Pacific Solar ®® permit document service is offered as a value added service for our customers only who purchase our grid-tied or off-grid packages of 18 panels [Minimum] or more. 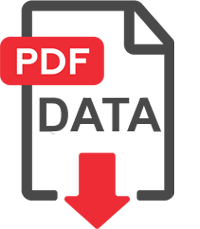 The building permit document permitting service service is available for most states to help you get through your local jurisdiction building permit process. Our team of professional designers can provide the documents, blueprints and expertise needed to work with any building department nationwide. Designs available to withstand 130 MPH wind zones with MIG welded steel pipe caps and rail brackets with powder coat finish. 6000 series structural aluminum mounting rails with stainless steel module clamps and rack assembly hardware. 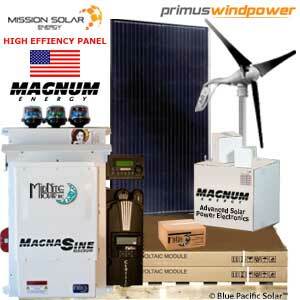 Available in multiple sizes supporting 2 through 4 modules high. Designed for 6" or 8" Schedule 40 or 80 vertical steel pipe and 4" x 4" square rectangular horizontal steel tube (installer supplied). Capable of significant ground clearance applications such as shading car ports as shown in picture (Requires Optional PE Review). Adjustable elevation brackets available with multiple positive locking tilt angles. One row of vertical pipe reduces ground work with fast top-clamping module attachment. The DPW Multi-Pole Mounts (MPM) allow for fewer ground penetrations than traditional ground mounts. Ease of installation with patented RAD™ Twist-In Bolts that lock in place with 0° tilt setting to ease module installation and integrated grounding.